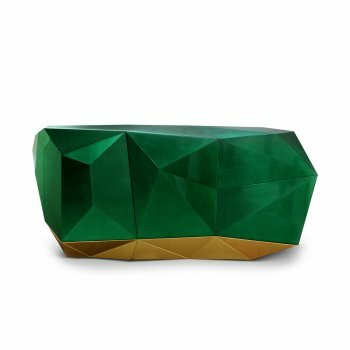 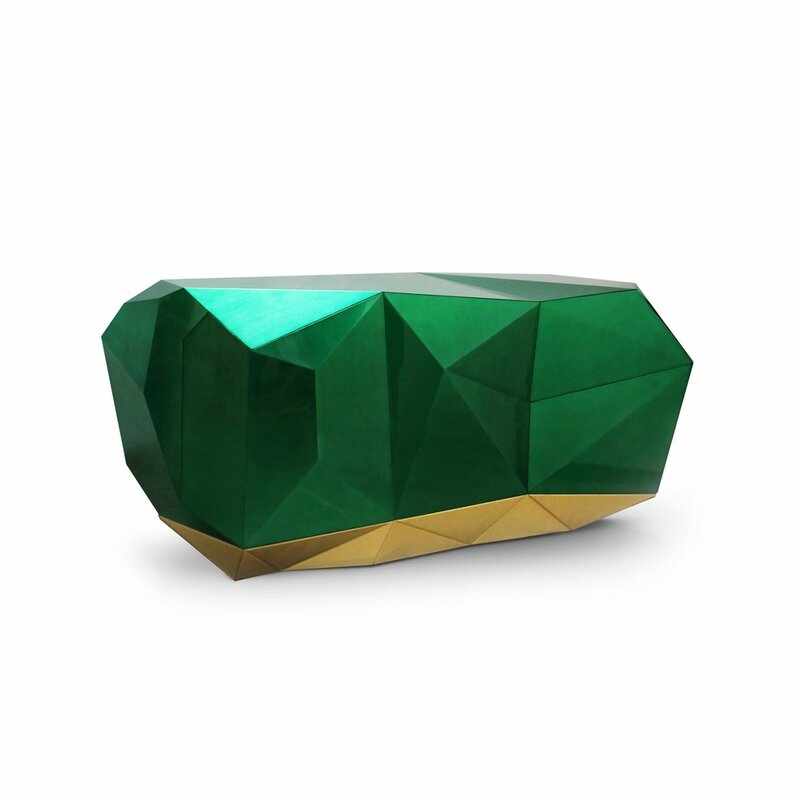 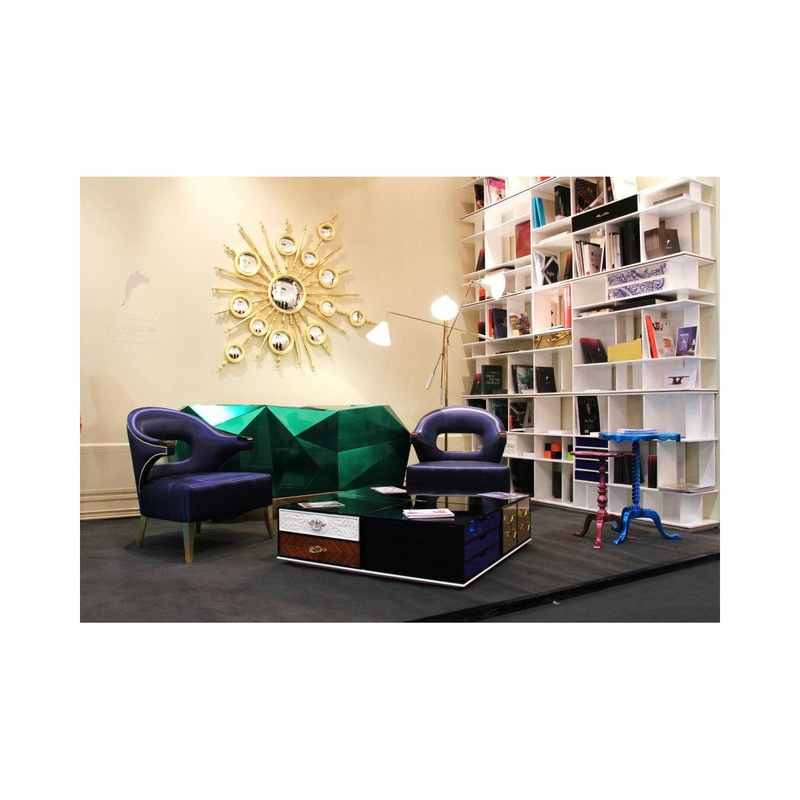 Limited Edition Diamond Emerald Sideboard by Pedro Sousa for Boca do Lobo. 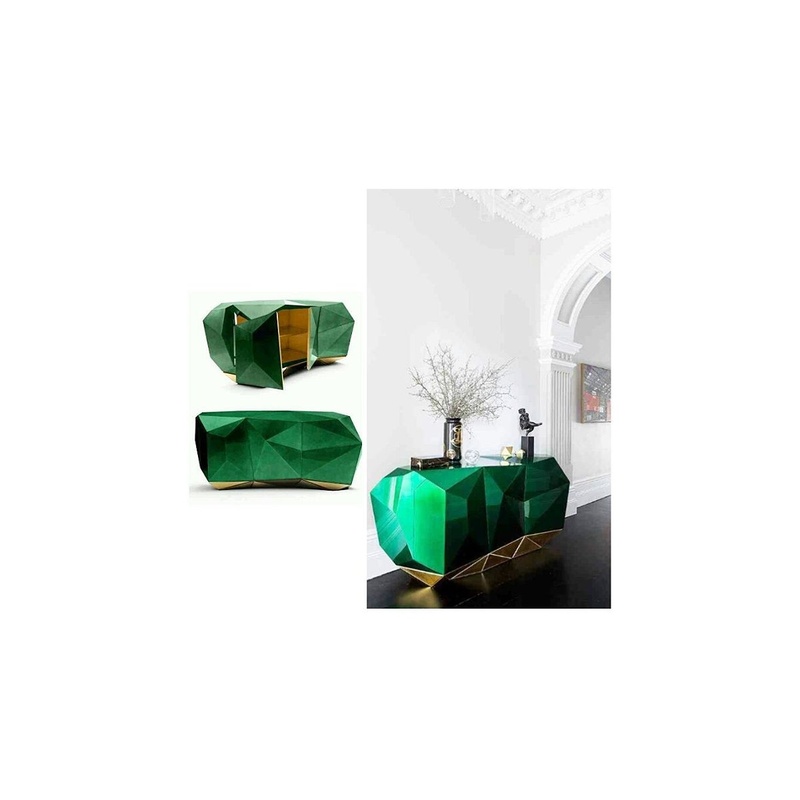 Designed as a Modern faceted jewel, this very unusual luxury sideboard features two sculptured doors, a shelf and two soft touch drawers leading to an opulent gold leaf covered interior. 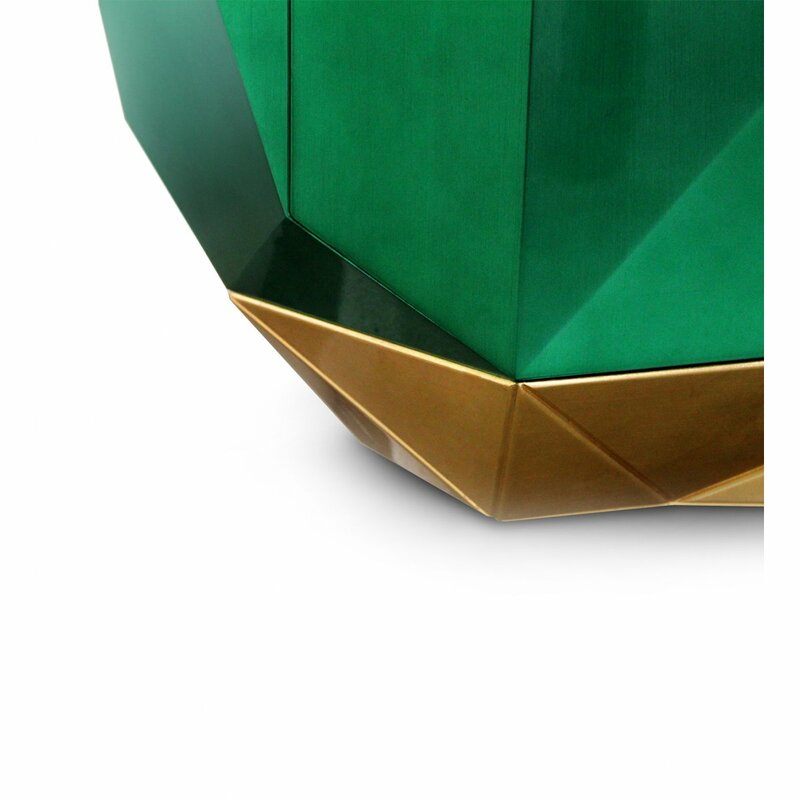 The exterior gets its unique depth of colour from the application of a luxurious shade of translucent green emerald with high gloss varnish. 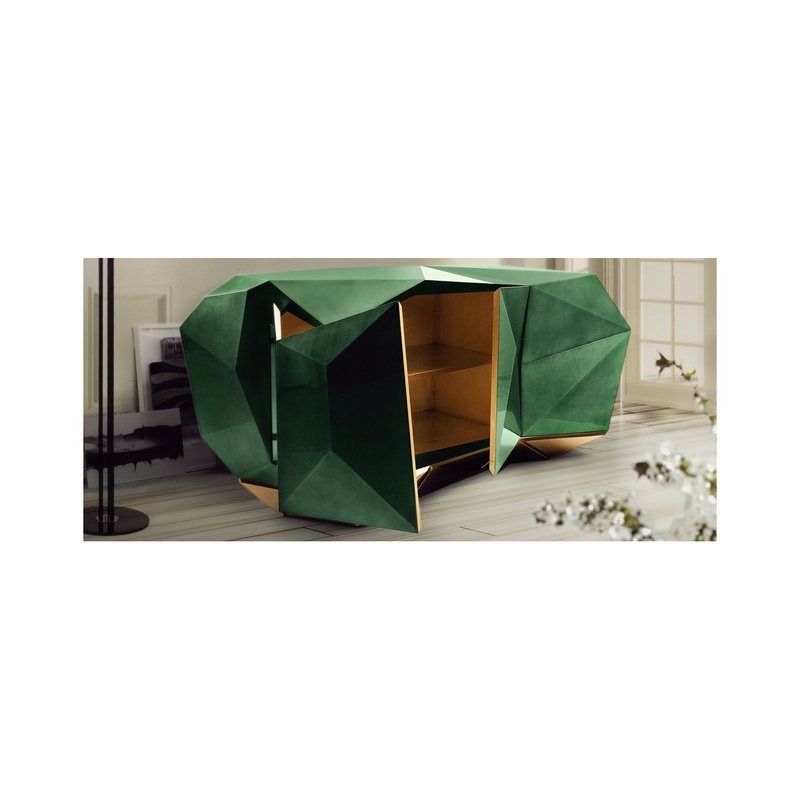 Thus the cabinet “Diamond” also bears her name rightly, the sideboard was designed with sharply defined edges that resemble the diamond cut. 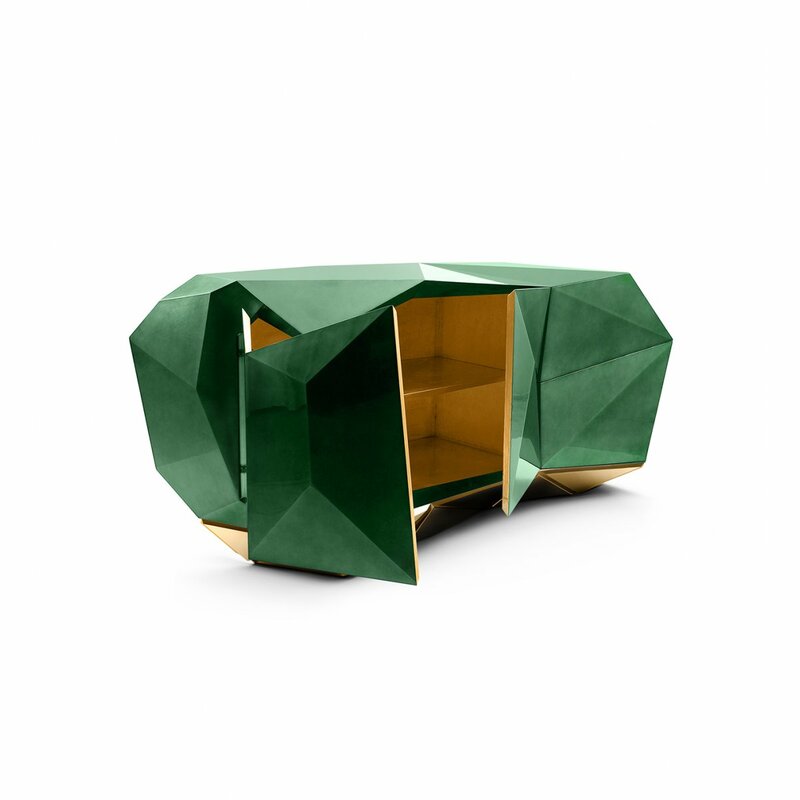 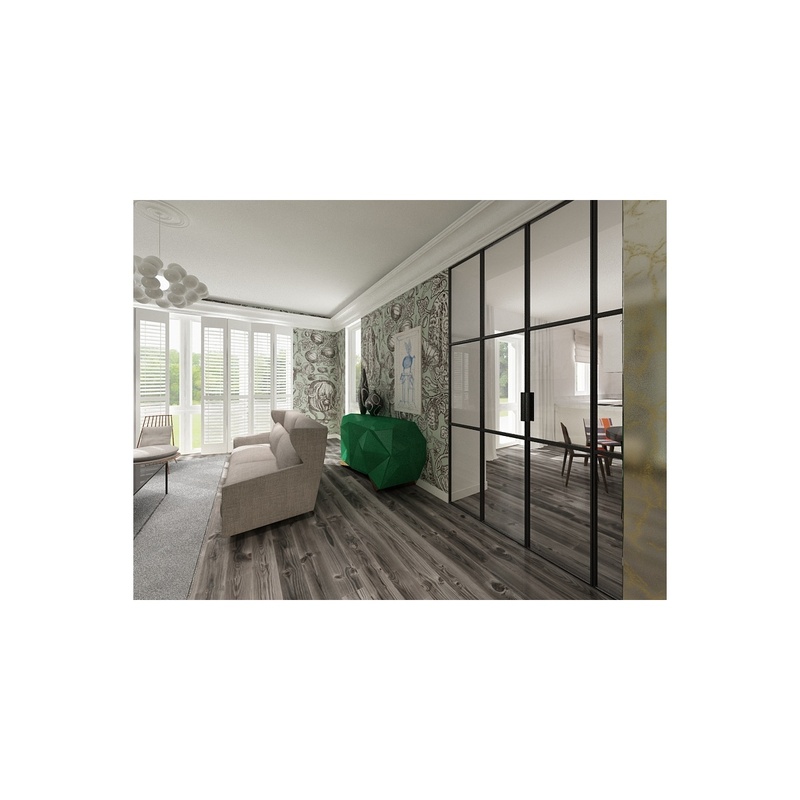 This opulent object, full of resources and desire, is inspired by the gothic furniture of the romantic period, with its capacity to take advantage of the power of imagination, prevision and escape, without forgetting its unique character. 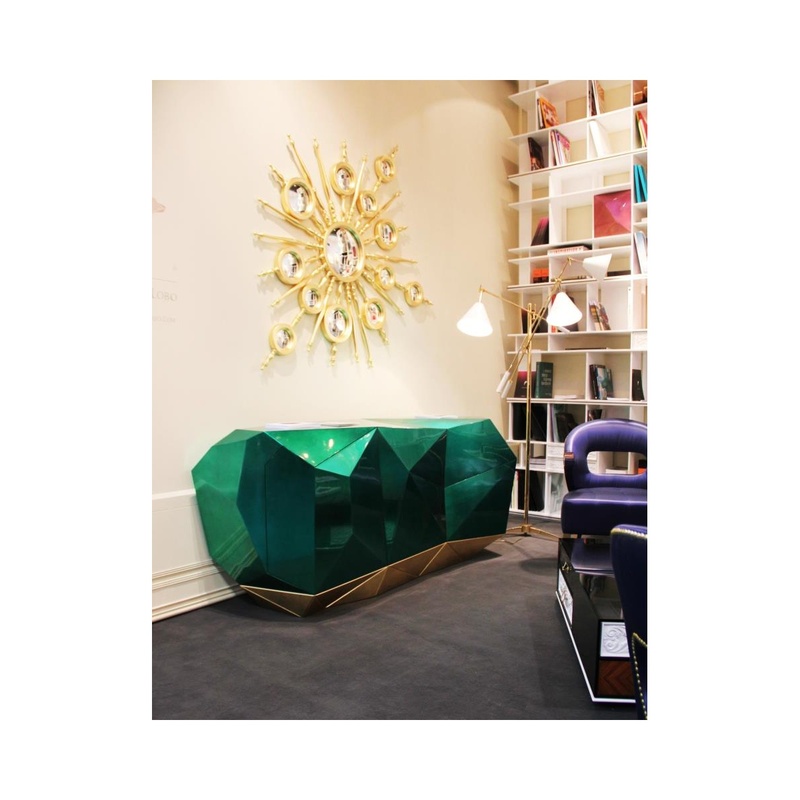 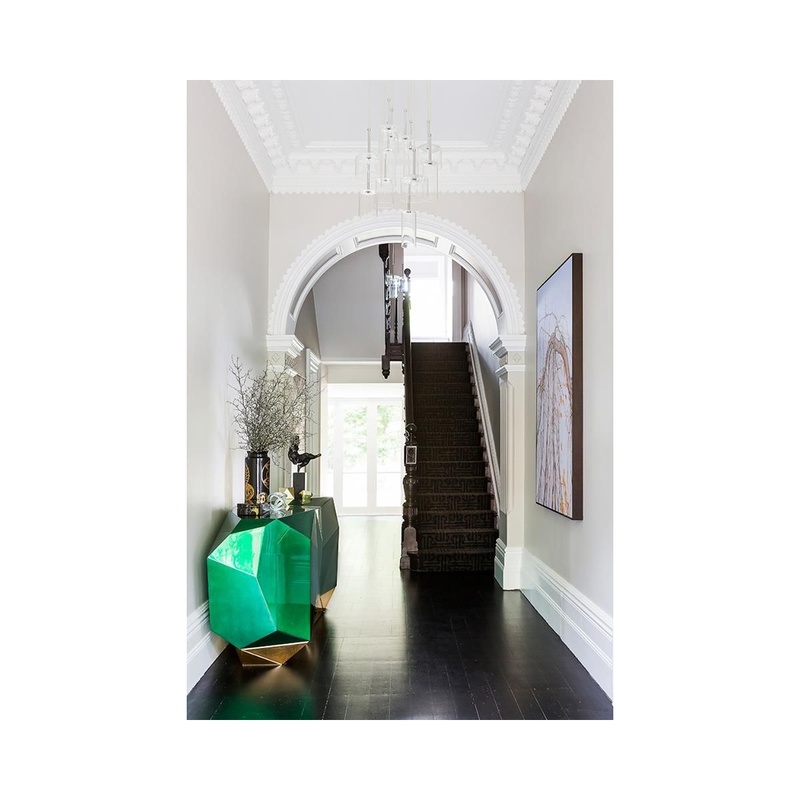 Finish: Golden and Silver leaf finished with a luxurious shade of translucent green emerald, High Gloss Varnish. 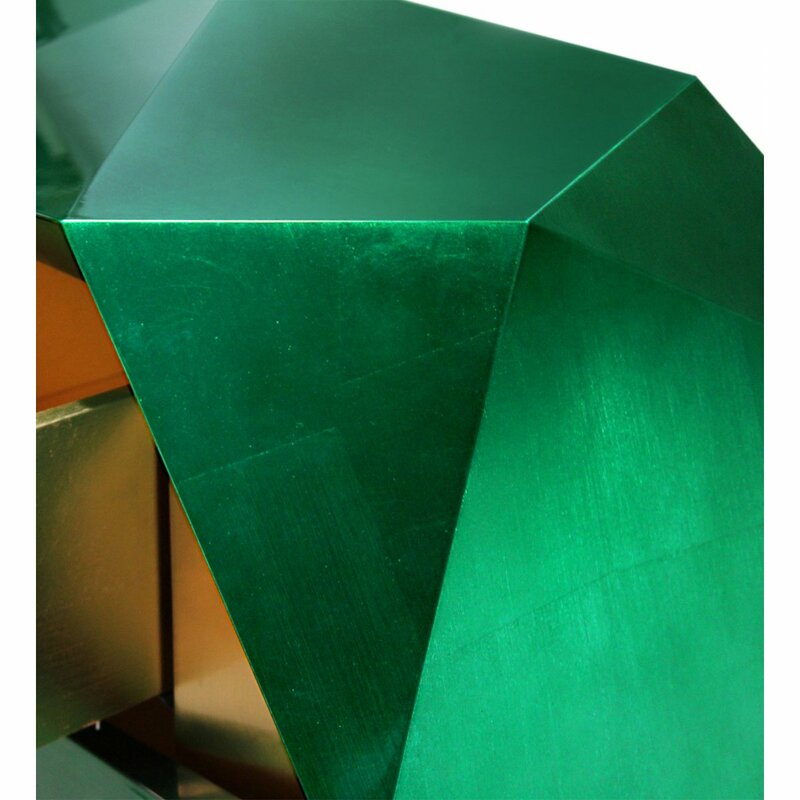 Product Options: Gold and silver leaf with translucid chocolate degrade/gradient lacquer (available separately).